Spot is the youngest of our pair of pigeons. Spot joined the SLEWTHS Project in January 2015, as a companion for Shamu. She is very smart and eager to learn. 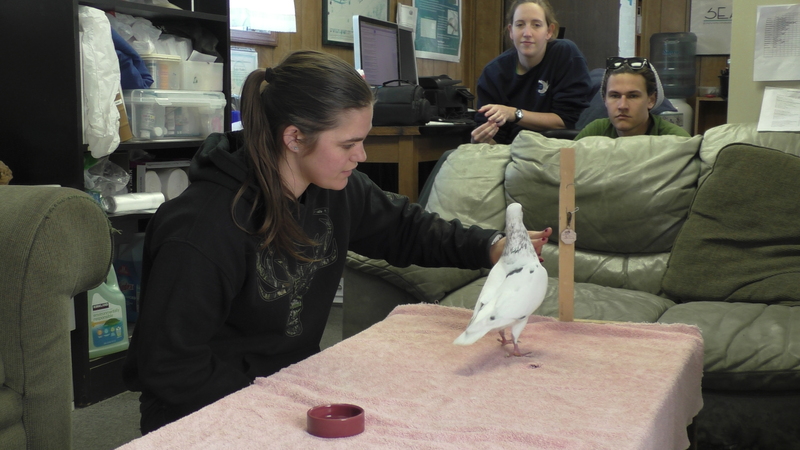 She has played a vital part of our staff development, providing our volunteers an opportunity to train novel behaviors.